Securing dependable janitorial services in Villanova, Pennsylvania is simple when you call the experts at Building Pro Commercial Cleaning Services LLC. Locally owned and fully trained, our janitorial services have been keeping Villanova offices clean and businesses shining since 1993. 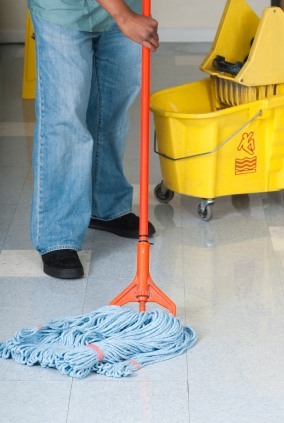 Our use of highly trained, hands-on supervisors and accessible management ensures that you will receive the best customer service and quality care for your janitorial needs in Villanova. Small enough to understand that customer service is key, yet large enough tackle large janitorial jobs in Villanova, janitorial services by Building Pro Commercial Cleaning Services LLC makes sense. We look forward to fulfilling your Villanova, PA janitorial service needs! 5★★★★★ - "Absolute total professionals, happy with price and service. They will be coming back again... In 2 weeks. They were wonderful." 5★★★★★ - "Rodney and his worker were great, showed up on time, were very thorough and did a fantastic job. I would definitely recommend them to anyone looking for a cleaning service and will hire them again." 5★★★★★ - "These folks do an EXCELLENT job at a reasonable price. In addition, the staff is very pleasant." 5★★★★★ - "I hired Building Pro after speaking with Duke on the phone. He gave me a very reasonable and competitive estimate based on my description of the cleaning job I needed done. Duke was a pleasure to work with and did an excellent job. I would recommend him and his company without hesitation. Thank you Duke, you made everything easy!" 5★★★★★ - "I was very pleased with your service. Rodney your personality has a lot to do with your service, and I enjoyed talking to you. I will recommend you to my friends and anyone who needs a cleaning service. Sincerely, Judy"
5★★★★★ - "Very professional and very accommodating. I plan to have them back on a bi-weekly basis. Very reasonably priced." 5★★★★★ - "Very thorough, listened to what I wanted and accommodated my needs. I've shopped around and used other services but Building Pro provided better service and a lower price than other services I've used. Buck is great to work with." 5★★★★★ - "Excellent work. Great to deal with the owners. Showed up on time as promised. Would use again."